History and Vision – Vaterhaus e.V. Ulli, the main leader of the treasure hunting team, attended a course named “The Naturally Supernatural Lifestyle” with some other guys from our church in the Glaubenszentrum Bad Gandersheim (Germany) in December 2012. There he heard about the treasure hunt for the first time and received the prophecy to go home and to press ahead with it in his region. 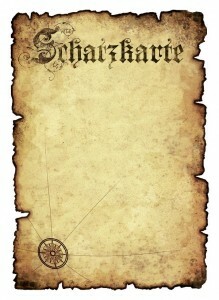 So he started the first treasure hunt in Stuttgart on 28 December 2012. After gaining a lot of experience, the treasure hunt team enrolled for the HEM conference which was conducted by Chris Gore and Chuck Parry (Bethel Church, Redding, CA) in Kreuzlingen (Switzerland) in April 2013. There they got profounded teachings about healing and impartation. Encouraged in their faith the treasure hunters came back from Switzerland and tried to put the gifts they received into practice. In doing this, the treasure hunts were lifted into a new, unknown level. In the year 2016 the Treasure Hunt Team was placed under the umbrella of GOSPEL FORUM STUTTGART, Germany, and is since called GOSPEL FORUM – Treasure Hunt. The biggest goal of the treasure hunting team is to rediscover the roots and secrets of the initial lifestyle of the early Christians, and to integrate it into their everyday life of the 21st century in a comtemporary manner, influencing the society in a positive way. For this purpose we want to make all that we have experienced and will experience available for the body of Christ, in order to encourage it to reach new levels. Wherever churches catch fire, we want to conduct training throughout the German-speaking countries to help them start their own treasure hunting teams. Every human being should have the possibility at least one time in his or her life to hear the life-changing message of Jesus Christ and also to understand it. It is our wish that more and more people will open theirs hearts for the love of God and to experience it themselves.